Kids are most excited when they receive something out-of-the-ordinary in their trick-or-treat bags. Instead of handing out the typical candy bars, why not make one (or more) of these 5 super simple Halloween treat recipes? 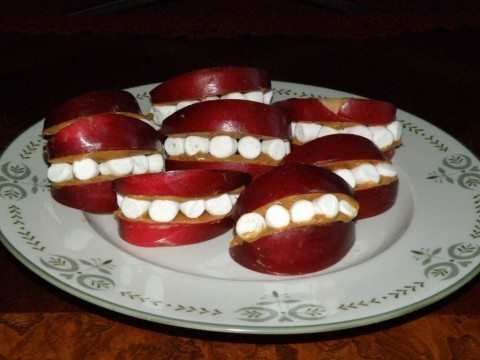 Or, whip up these simple Halloween treats to serve at a Halloween party. The best part: Each can be made with just 3 ingredients! You probably have everything you need in your pantry right now. Preparing your own Halloween treats makes the holiday even more special — both for you and for your trick-or-treaters or Halloween party guests. These cupcakes pair the fall flavor of pumpkin with the rich taste of chocolate. How to Make: Combine a box of chocolate cake mix with a can of pumpkin puree. Spoon the thick batter into the compartments of a greased muffin tin and bake at 400 degrees F. In about 20 minutes, take the cupcakes out of the oven and top each one with a drizzle of melted chocolate. It’s that easy! 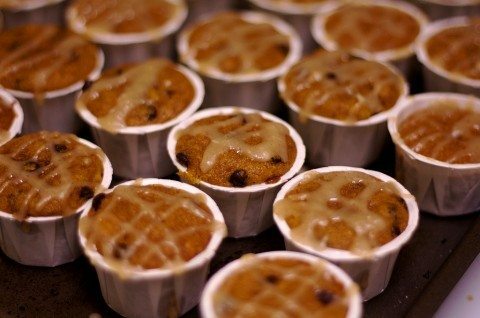 Tip: For bite-sized Halloween treats, use mini muffin liners. Almost everyone loves a big slab of fudge. However, the old-fashioned confection can be a little tricky to make. Skip the trick and enjoy the treat with this simple spin on the classic fudge recipe. How to Make: Start by melting a bag of white chocolate chips. Next, add a can of vanilla frosting and stir until everything is combined. 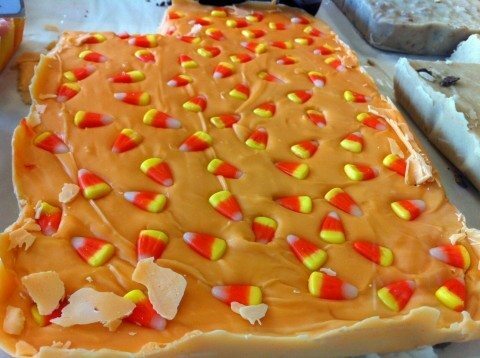 Pour the mixture into a shallow pan and sprinkle candy corn across the top. Let your concoction set for a few hours and you’ll have tasty candy corn fudge that’s ready to slice and serve! None of your guests will know how easy it was to make. Tip: To give your candy corn fudge pieces a layered look, use food coloring. Witches are usually a big part of Halloween decor. You can easily make the typical witch wardrobe a part of your Halloween treats this year. How to Make: Begin by melting some chocolate chips. You can use milk chocolate or a dark variety, if you prefer. Dip some plain cookies — like sugar cookies — into the melted chocolate. Put them aside while they harden. Then, dunk some sugar cones into the rest of your melted chocolate and attach one to each cookie. Allow everything to dry and your witch hats are ready! 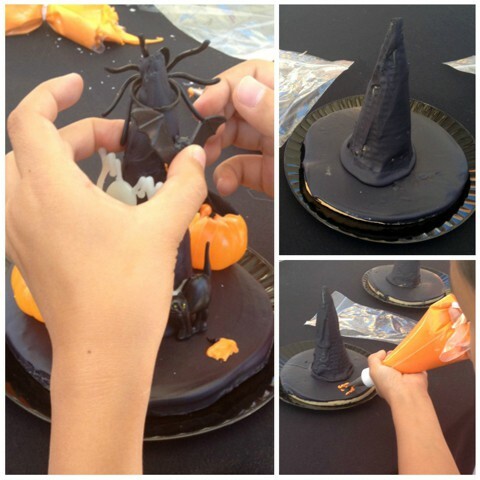 Tip: Use sugar cookies that are large enough to create the look of a brim on the witch’s hat. Witch hats are fun, but you can’t forget about another important Halloween accessory: Every good witch needs a broom. How to Make: Prepare this miniature, edible version of witch brooms by combining 1 bag of melted butterscotch chips with some peanut butter. Add lightly crushed pretzel rods to the mixture. Once the ingredients are mixed together, use a spoon to drop small piles onto a sheet of wax paper. Stick a whole pretzel rod into the center of each stack and let them all set for a couple of hours. Be sure to make plenty of these butterscotch witch brooms. They’re certain to fly out of here! Tip: When crushing the pretzel rods, don’t overdo it. You want relatively large pretzel parts to look “stringy” like a real broom. Or you could use chow mein noodles, as with these Halloween butterscotch haystacks. These fruity fang bites will bring smiles to kids’ faces. How to Make: To form these mouth munchies, you’ll need some sliced apples, 1 bag of mini marshmallows, and 1 jar of peanut butter. Take an apple slice and spread a bit of peanut butter on one side. Stick about 6 mini marshmallows to the peanut butter and top with another peanut-buttery apple slice. That’s all there is to it! Everyone will love biting into these toothsome treats. With these 5 quick and easy Halloween treat recipes, it’s simple to make your own homemade treats that are frighteningly fun! Whether you’re hosting a Halloween party or just looking for something different to hand out to trick-or-treaters, all the little goblins will definitely enjoy gobbling up your homemade tasty treats. 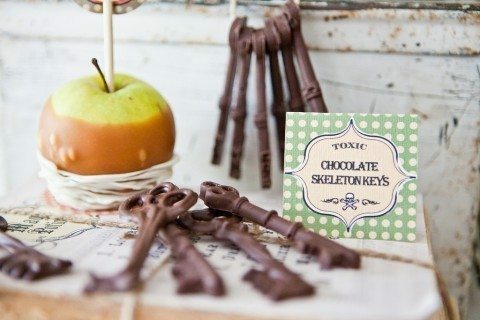 Psst… Want to make the chocolate skeleton keys seen in the very first photo? (Bonus: there are only 2 ingredients!) Here’s the recipe and skeleton key template.